If you find that you’re fascinated with the world of the martial arts – then you’re not alone. Many people find themselves irresistibly drawn towards this world – both men and women – and they also find that training martial arts changes them for the better. Namely, two things that you can expect from training martial arts are the improvement of your health and fitness. Of course, these things won’t come easy for you – you will have to sweat and work hard in order to get to them. But the reward that you will get is priceless. So, since you’re reading this article, it means that you’re interested in Muay Thai. Well, if you wish to find the best training camp centered on this martial art, then you will do well to go to Thailand. The reason for this is simple – some of the best practitioners and teachers in the world when it comes to Muay Thai can be found here – as Muay Thai is a national sport in Thailand, and it’s held in very high esteem. You can find old people and children in training camps, dedicating their lives to this martial art. While you don’t have to go such extremes – you can still benefit a lot from training Muay Thai. 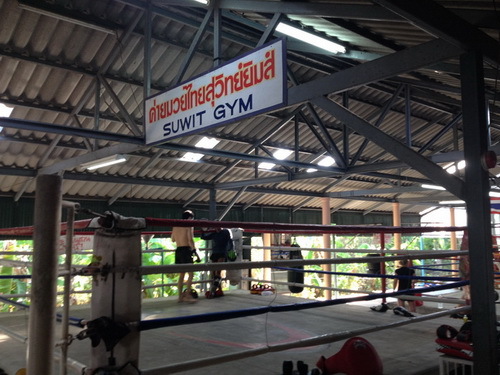 And finding a training camp when you’re in Thailand is a piece of cake. But still, there’s difference from one training camp to the next – and it’s best for you to ask people about where it’s best to train. Read reviews online and make your choice based on your personal opinion. 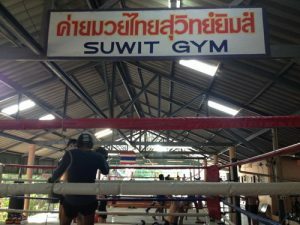 If you ask us, one of the best training camps of Muay Thai in Thailand and in the world is Suwit Muay Thai – the place where MMA fighters trained Muay Thai when preparing for one of his epic battles. The teachers here are absolutely dedicated to the martial art of Muay Thai and you will have the best learning experience if you learn from them. Follow their guide and advice, and you will witness your Muay Thai skills and knowledge skyrocket very soon. If you have any knowledge of the world of the martial arts, then you know that there are many of them that are available for training. And you also know that all martial arts are not created equal and that some are better than the others. Of course, many people that train martial arts don’t know this fact, and so they spend years of their lives training something that’s ineffective at providing them with self-defense skills. Luckily, you know better – since you’re reading this article, you’re already one step ahead of all of these people. You want to truly know which martial art is the best. While there is no single martial art that we can pick out as “best” there are still some guidelines that we can follow in order to narrow down the choice of the most effective martial arts. And if we follow these guidelines, then we will realize that one of the best martial arts in existence is actually called Muay Thai. This is the first step for you – finding the best martial art that is available for training. And now what’s left for you to do is to find a Muay Thai training camp. Muay Thai is not only a martial art – it’s also a sport. So, if you wish to train something in which you could compete on a high level, or in amateur fights – then Muay Thai is your pick. Also, you will be able to dramatically improve your levels of fitness once you begin training. There are thousands of success stories of people that have begun training Muay Thai in their spare time, and they have gotten healthier and more powerful than ever before as a result of this. 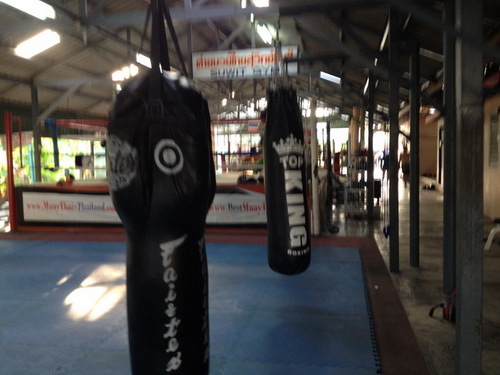 Now, there are many different places where you can train Muay Thai. In fact, it’s one of the most popular martial arts in existence. Chances are that there are several training camps of Muay Thai in the place where you live. But if you truly wish to learn from the best, then we recommend you to go to Thailand. There you will find the best teachers in the world when it comes to Muay Thai. Enjoy learning and getting better at it!